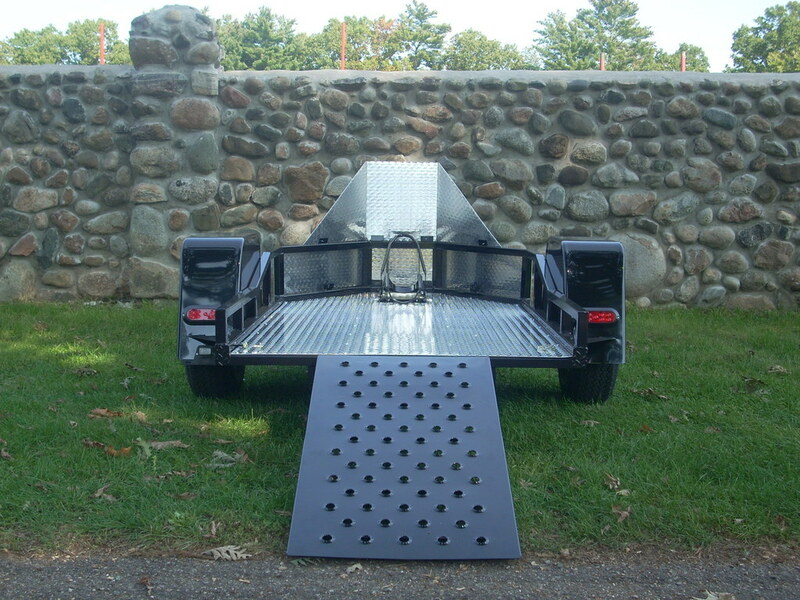 Ramp Less Drop Bed Easy Load Motorcycle Trailer. 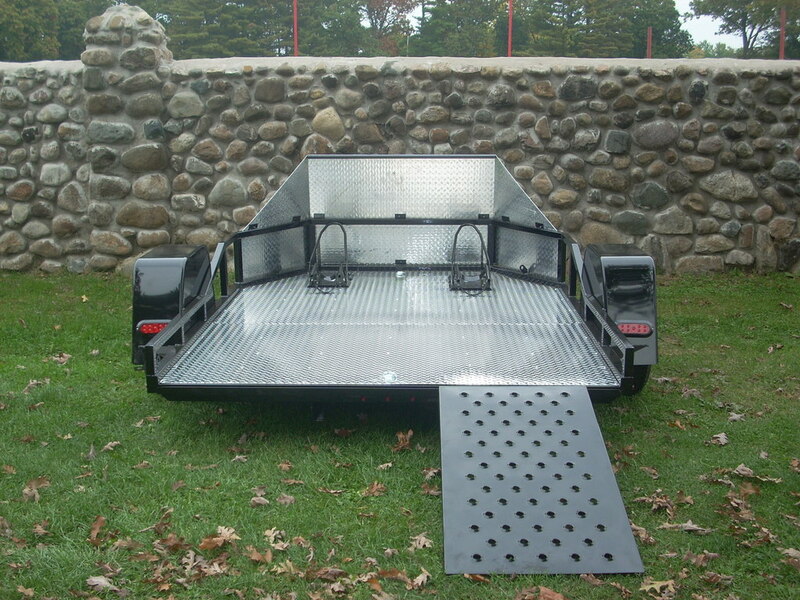 Easy ramp trailer conveniently stores it's ramp under the bed of the trailer. 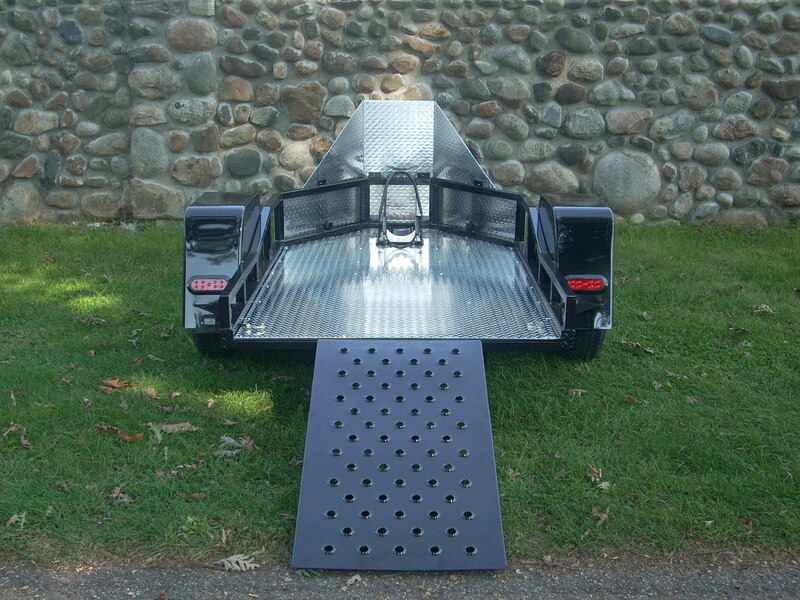 The ramp slides under the bed and pins in place for quick and easy storage. 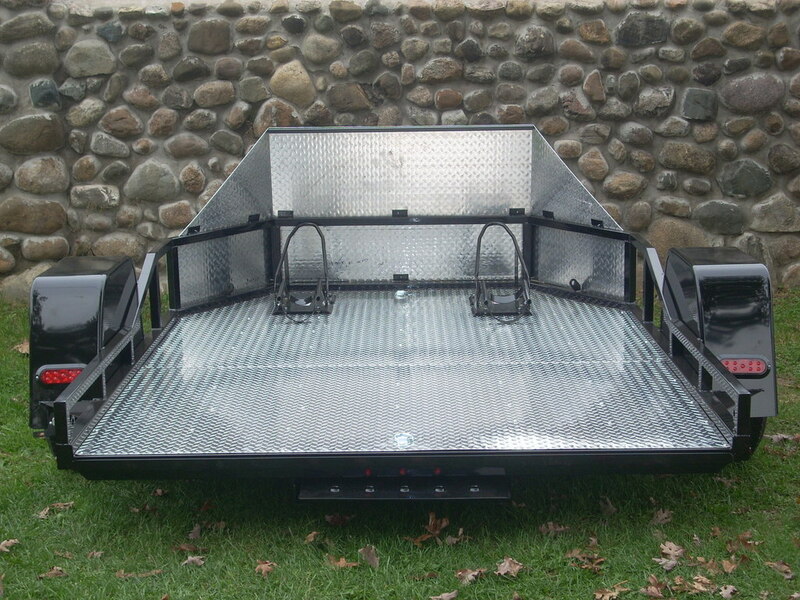 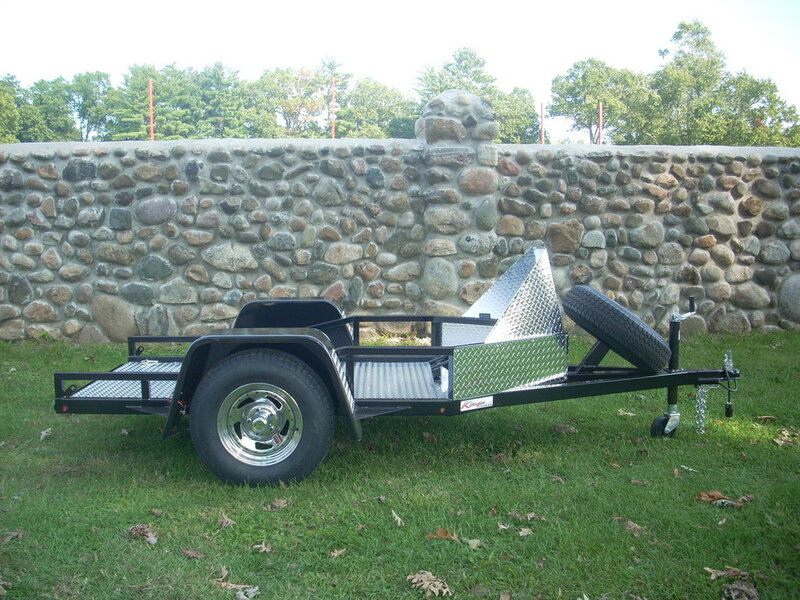 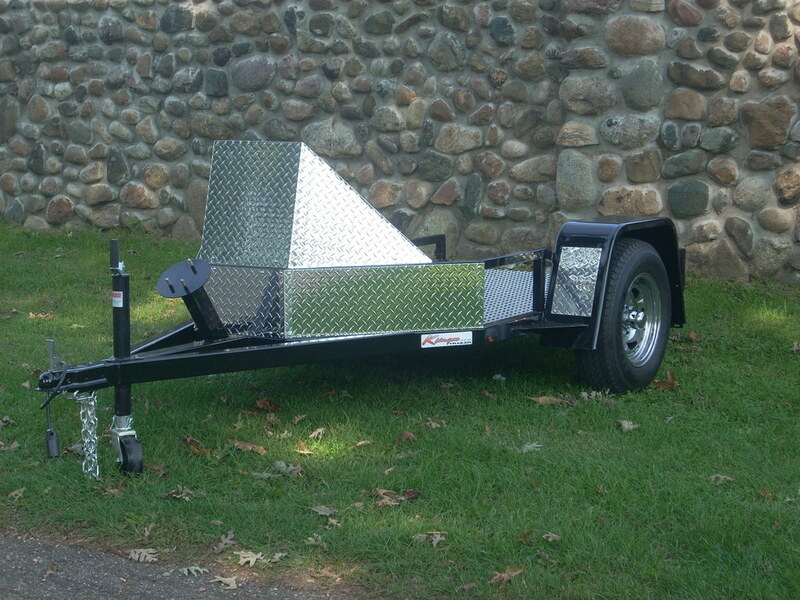 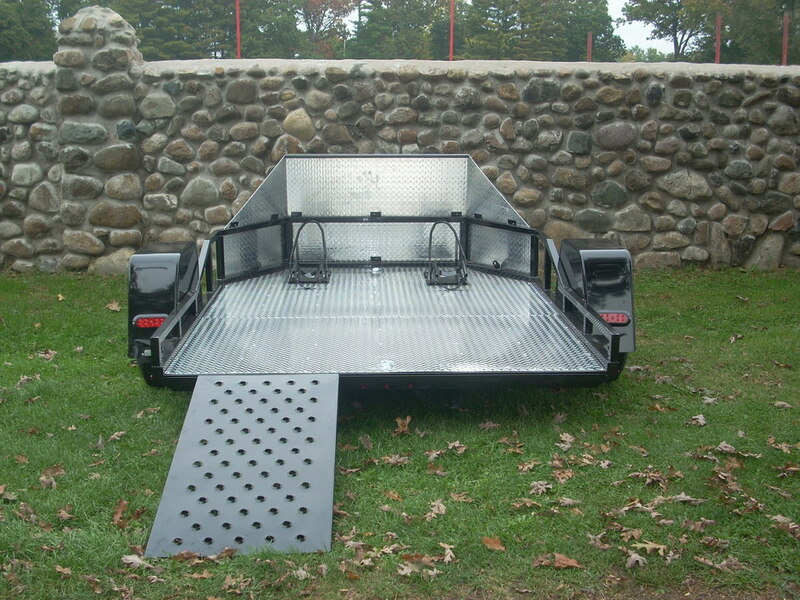 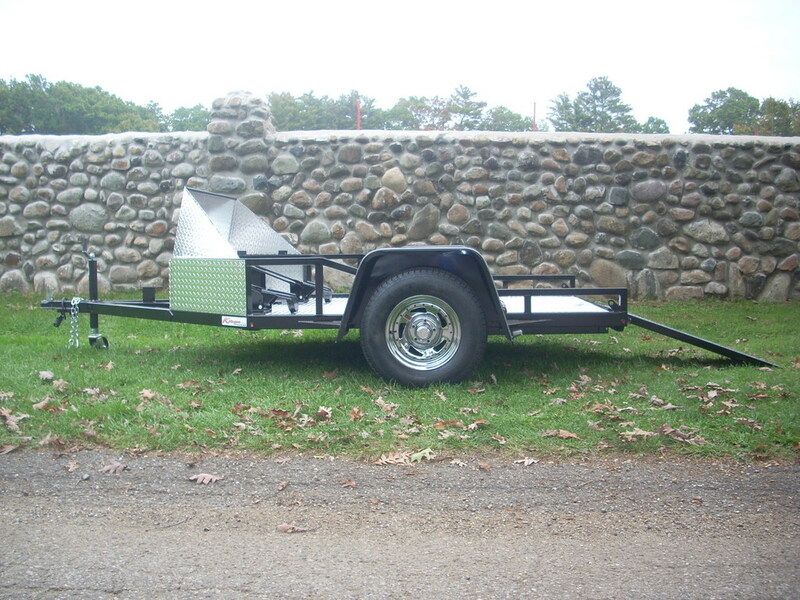 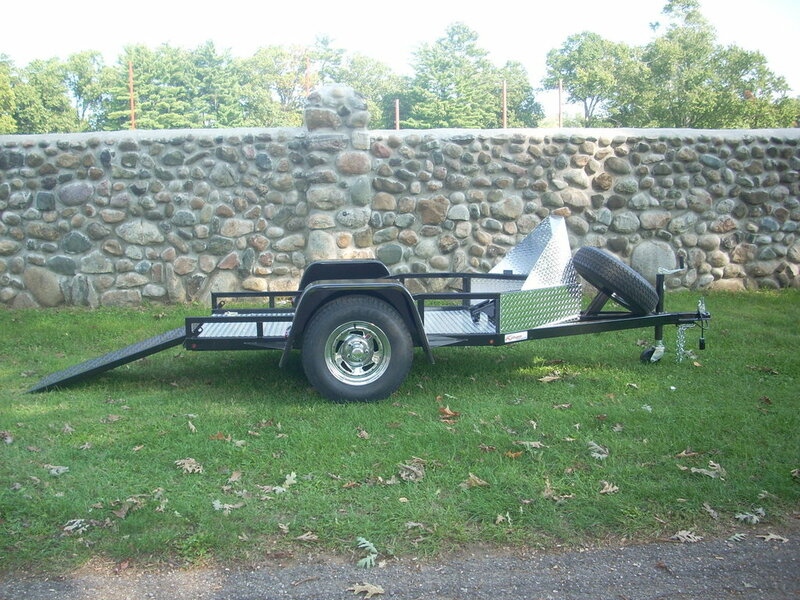 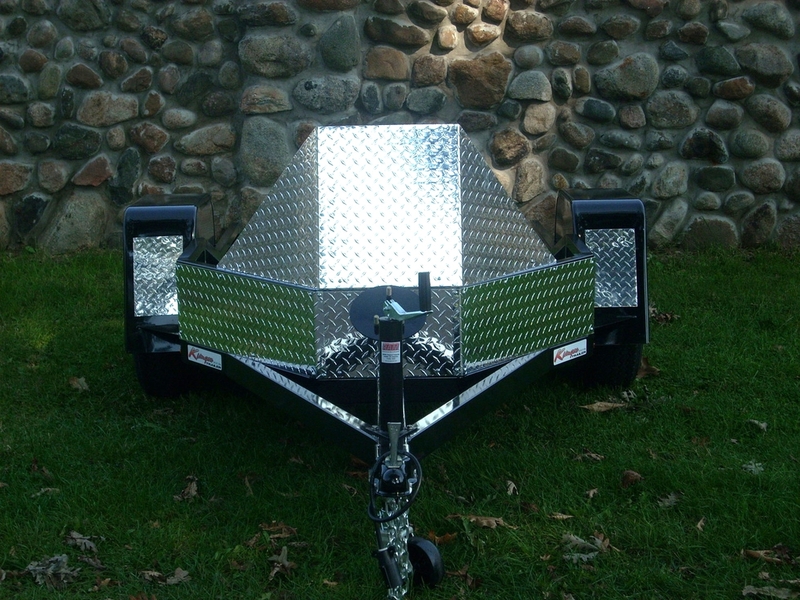 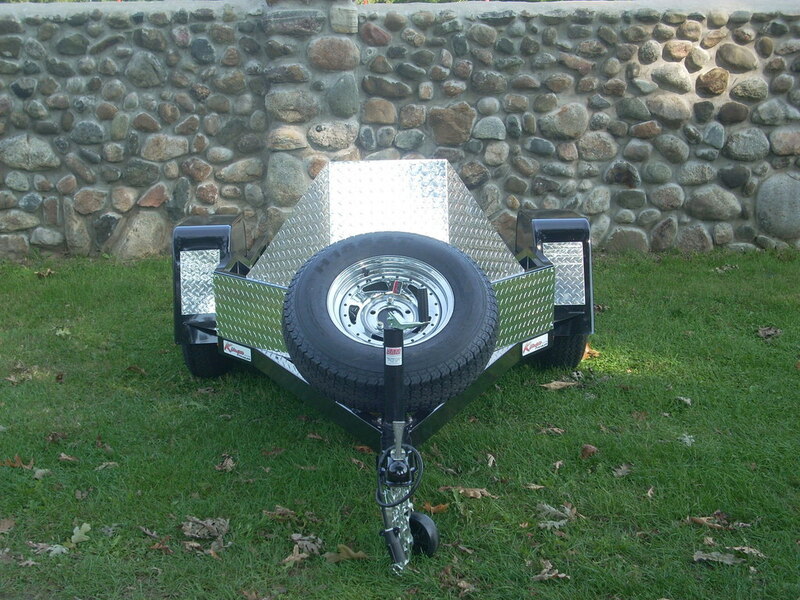 This easy ramp trailer comes in lot's of sizes for you to pick from. 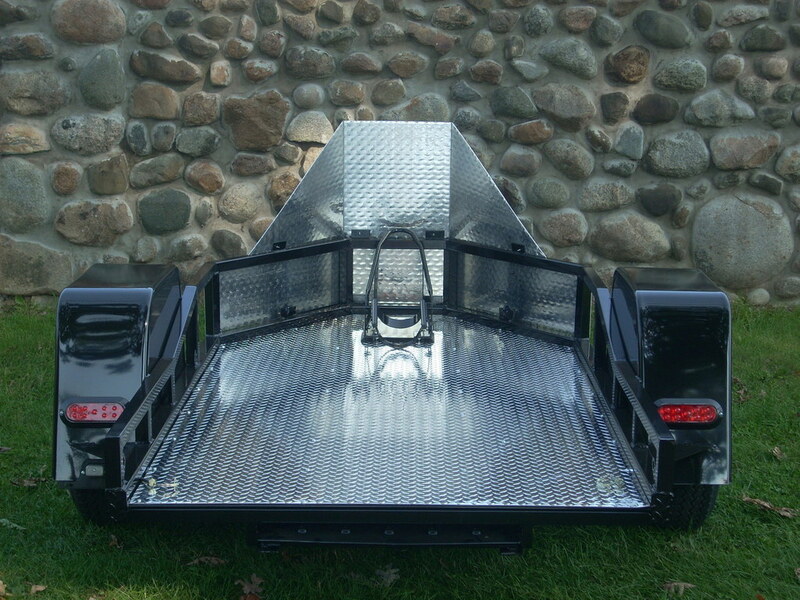 ( one or two bikes and more ) We build all of our trailers to fit your needs and your bike or bikes sizes. 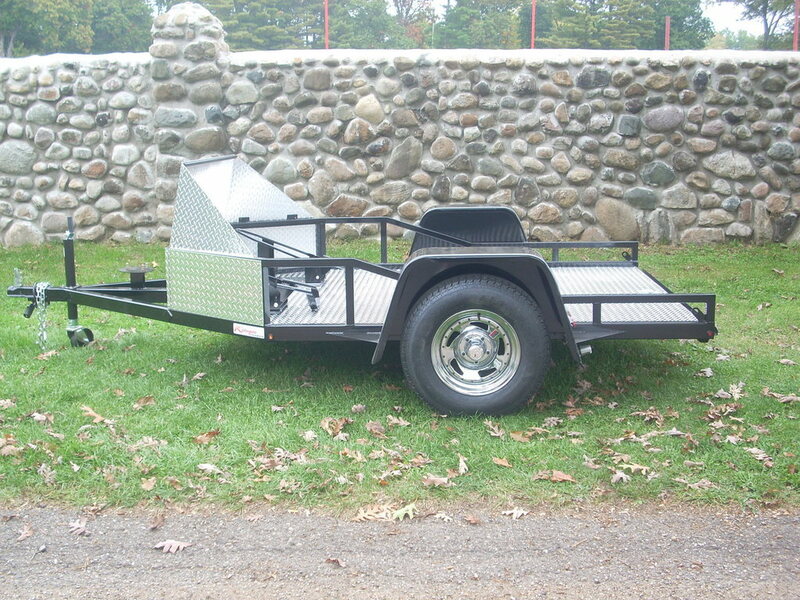 This Easy Ramp Trailer is a great buy, due to the fact it comes with the stone guard and a great price. 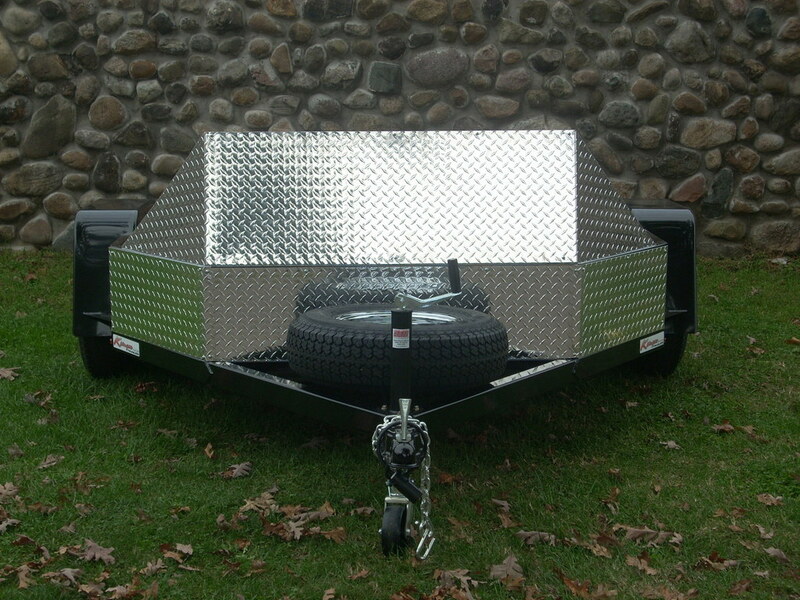 We accept Cash, Check, and Visa, MasterCard and Discover. 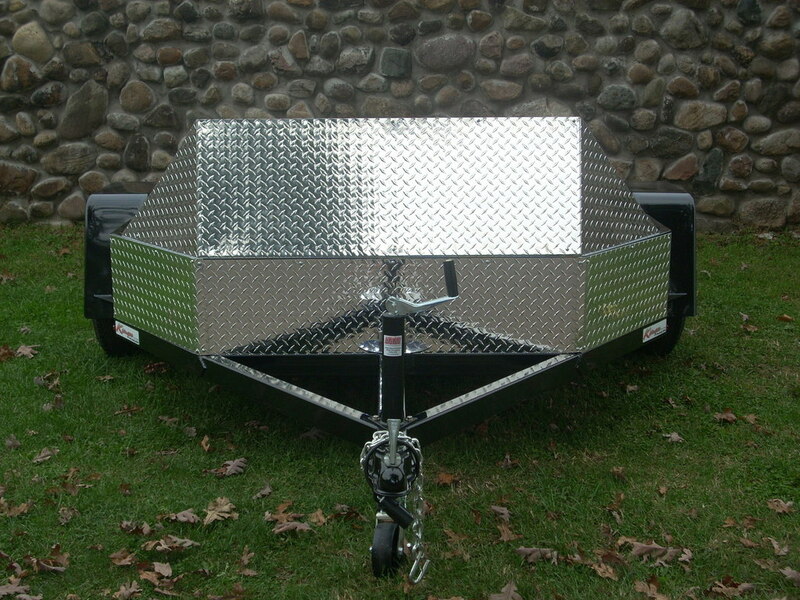 All card transaction will be charged a 2.5 % fee.